Introduce the Ancient Living Lemongrass Essential oil to your daily routine and experience a remarkable upgrade in your well-being. This oil, when inhaled, magnifies awareness, makes you optimistic and cool tempered. Lemongrass oil can relieve sore muscles and joints, making it a perfect oil to use in massage therapy. It aids purification, reduces cellulite, improves complexion, opens blocked pores, and lessens acne. Lemongrass Oil possesses antibacterial and insecticidal properties which works as a natural disinfectant and purifier for your home. 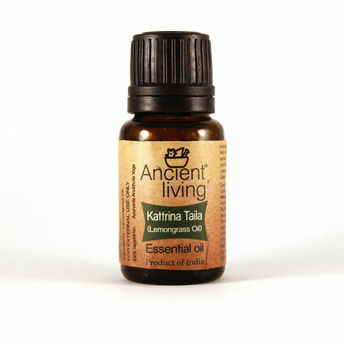 Blended with Citronella and Eucalyptus, this oil forms a powerful insect repellent.